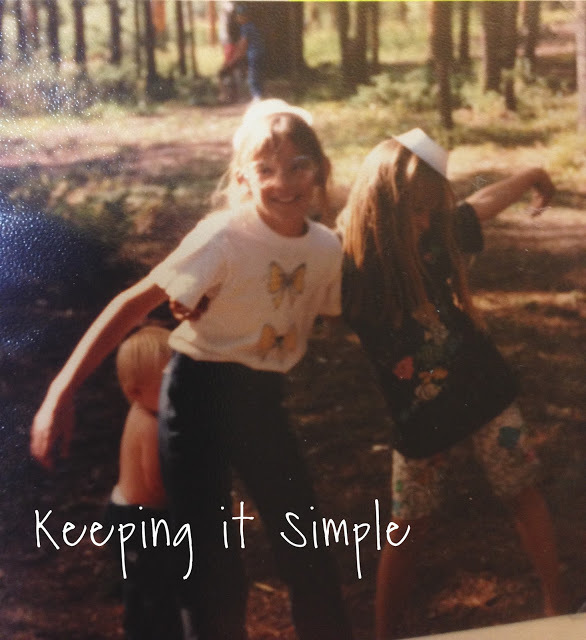 One thing I remember from my childhood is camping and the fun we had being in the great outdoors. My mom also loved cooking outdoors and I remember a lot of meals and desserts in the dutch oven (we had a wood stove in our back yard and she loved cooking on it). 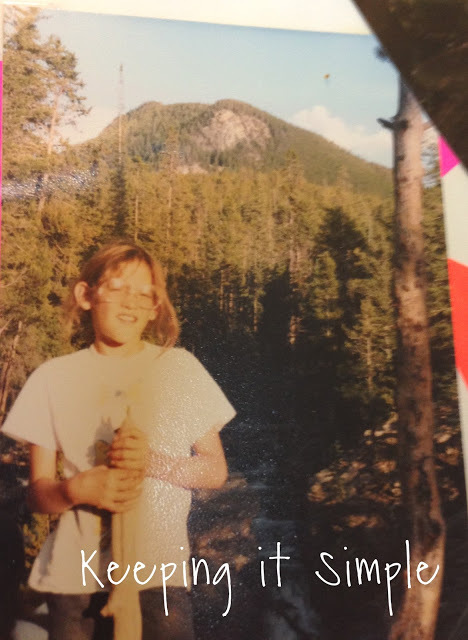 One year (1992) we went camping for a family reunion in Colorado and I loved it. I had so much fun just being outdoors and playing with all the nieces and nephews. Here are some classic old school pictures of me during that trip (oh the styles of the 90s, LOL). Here is when we were hiking and I tried to find a walking stick every we went out, this one was my favorite and I felt like I was pretty cool to find it :). And here is a picture of my niece and I dancing with bowls as hats, we loved making up dances and preforming for the family. One of the joys of being a kid, no way would I do that now haha! Now that it’s summer and I’m thinking about camping trips and eating outside with my own kids, I decided that I wanted to make my creation resemble the memories that I had growing up and the memories I hope to make with my own kids. 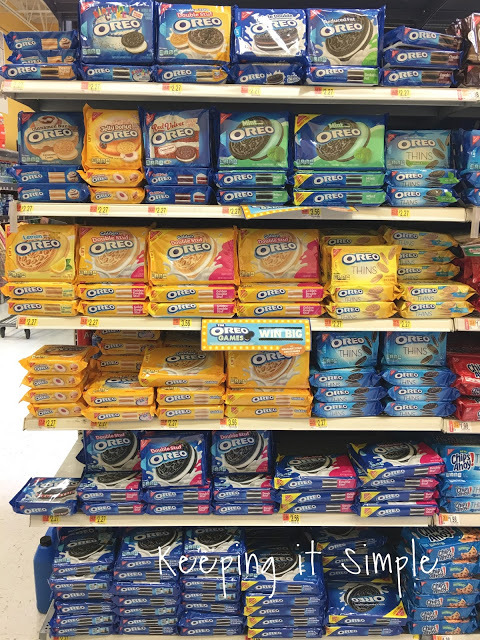 So I headed to Walmart to check out all of the yummy flavors that OREO has now. Here is all the goodness I got! 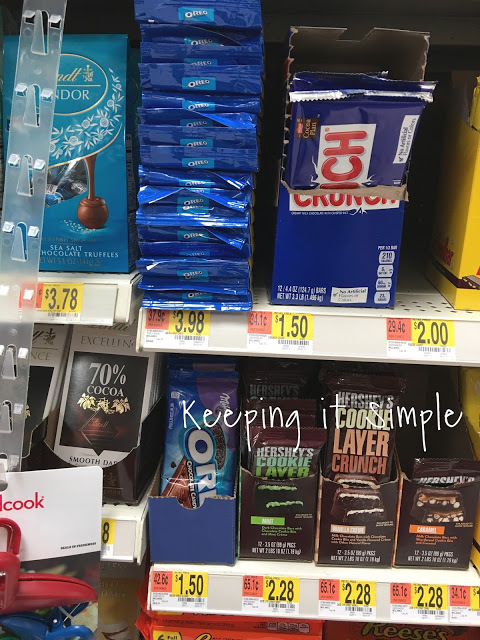 All of these were sooooo good! Now time for my creation. 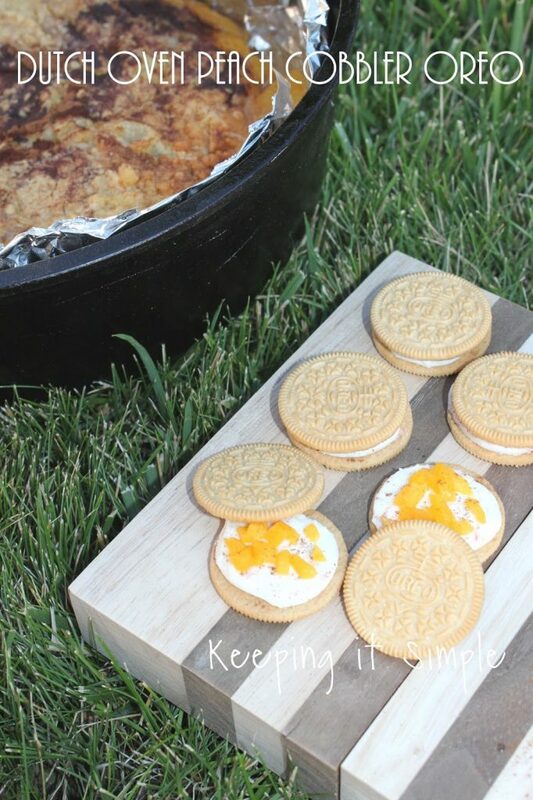 This is what I imagine for my dutch oven peach cobbler OREO. 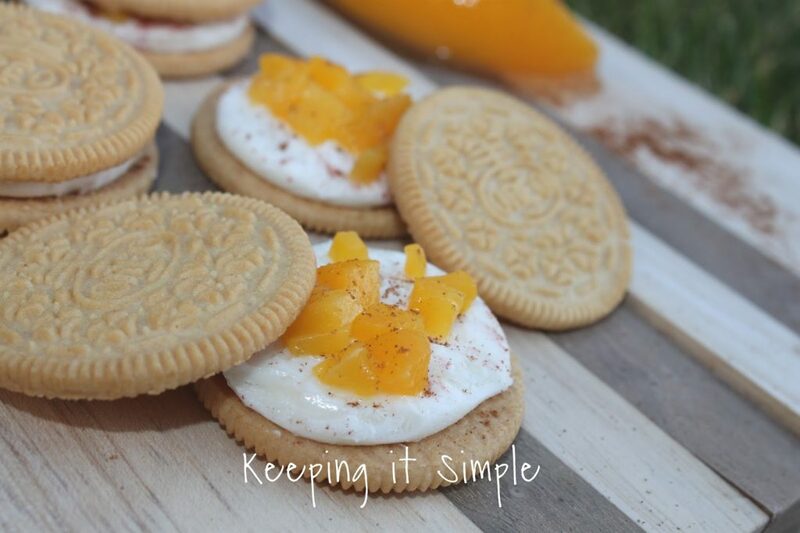 The outside cookie being a yellow cake flavor, then the inside would be a vanilla ice cream flavor with little pieces of peach in it and then a hint of cinnamon, possibly with a toasted flavor to represent the dutch oven. 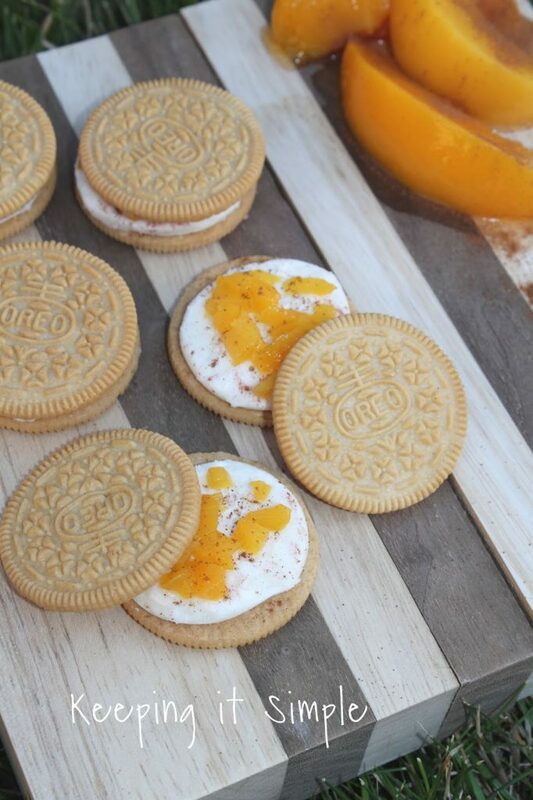 I made some mock up OREO cookies and they actually really did taste like peach cobbler and they tasted amazing! Seriously so good! 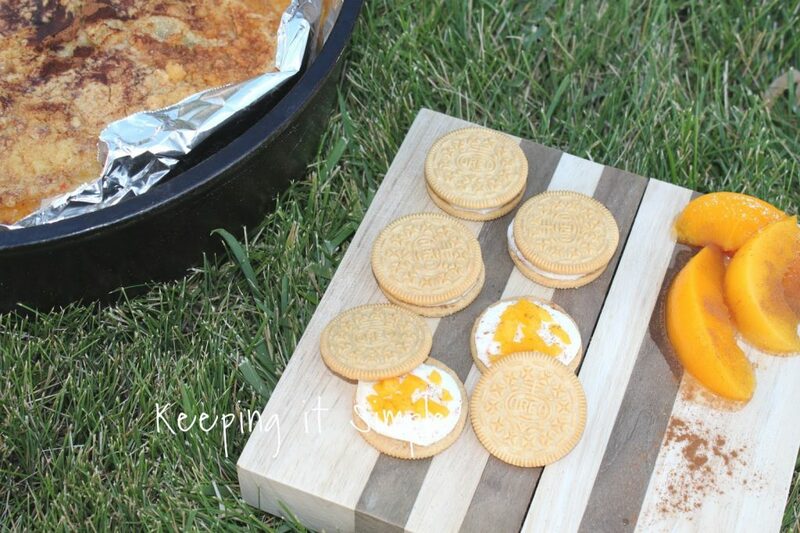 I wanted them to be dutch oven peach cobbler because there is something special about cooking outside and just being outdoors! 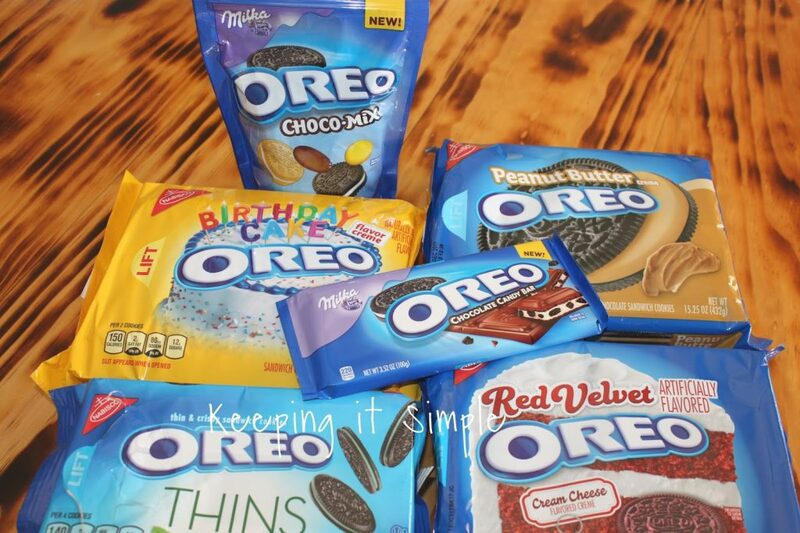 If you would love to have your own OREO creation made, make sure you go over and submit an idea! 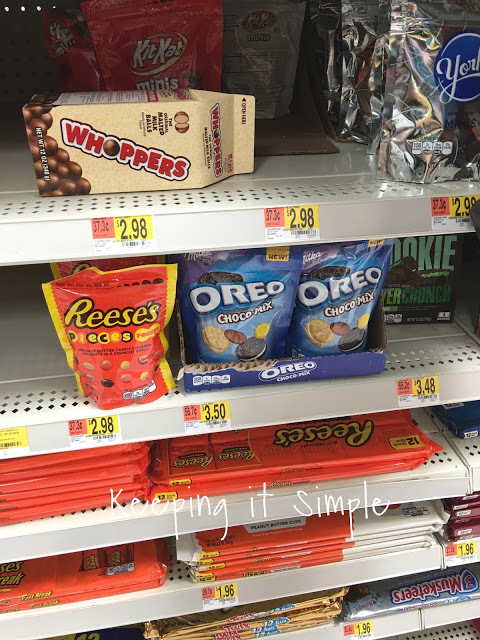 All you have to do it go here, and then enter a video or a picture of your OREO creation. Super easy and you could win $500,000! Now who doesn’t want that?! Hurry though, it ends on July 14.